If you are a new truck driver, there are some truths you ought to know. This information is not meant to scare you away from a job as a trucker. It’s meant to equip you with straight up information and knowledge for that first and important year of your new truck driving career. 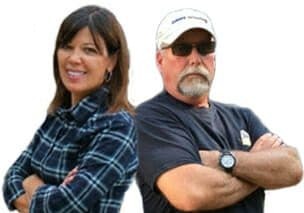 I’d like to connect especially with the new truck drivers and the guys and gals: who are just entering the trucking industry……. those who have just finished their CDL training as well as those who are still in the process of completing their CDL training program. 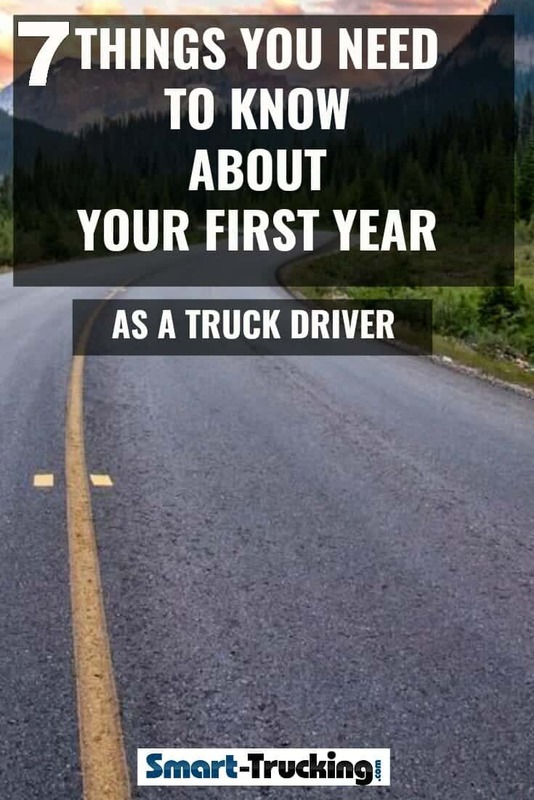 There is no doubt it, your first year as a truck driver is going to be the hardest one. You’ll be making lots of adjustments, like getting accustomed to the job, getting familiar with the truck you drive, utilizing your new driving skills and getting accustomed to the lifestyle. There are still so many things to learn about the job, that you haven’t learned yet. With several million miles under my belt as an experienced truck driver, I still remember after all these years, my first year as a truck driver. The worst part of that year for me was finding some of the delivery locations and maneuvering the truck into some of the older areas of big U.S. cities with narrow streets and low bridges. Happily, I never peeled the roof off my truck and trailer, but I came pretty damned close upon occasion. In those days, there were only maps to rely on, and those maps did NOT show low bridges. I found city driving highly stressful. Here are 7 things you should know about and some things to expect from your first year as a new driver. Experience is important when it comes to getting the best truck driving job. The more experience you have behind the wheel, the better driver you’ll become. The more experience you have, the more money you’ll make. Experience will also help you relax more and ease the stress and you’ll enjoy your driving job more. 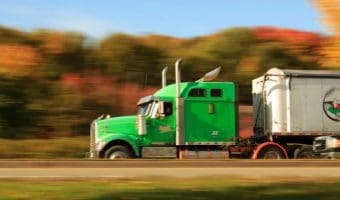 Keep in mind that the main goal of that first year as a new truck driver, is the seat time. It won’t be easy seat time, especially for those people who have hired onto to a big carrier for a company sponsored CDL training program. Enduring such a program can be a challenge unto itself. Chances are that you’re being trained and driving around with a driver trainer. Some driver trainers are good and some are not so good. There’s another adjustment you’ll need to make. The long and the short: you’ve got two drivers in one truck and it’s a pretty small space. You’ll need to learn to spend your work day with this trainer, whether you like him or not. If you and the driver trainer are on the road for long haul driving, that will mean sharing the same sleeper bunk. THAT’S a whole challenge unto itself which you will have to cope with. You’ve got another person with you in very tight quarters and that can create all sort of problems, so be prepared for this. To add insult to injury, chances are that the time you spend on the road with your driver trainer, won’t pay particularly well. New truck driver training pay can be lousy. So be prepared to take somewhat of a financial hit. Most carriers pay poor wages for the training period. However, driver pay doesn’t improve very much even when you hit the road on your own, in that first year or so. You should be prepared for this. It’s not fair, but it’s reality. You’re not going to make great money the first couple of years as a trucker. It’s the price of getting the experience and sharpening your driving skills. It’s a sacrifice I suggest you take in stride, if you want a truck driving career. You may get long trips, which usually pay better as there are more miles. However, you won’t be able to travel as efficiently as a more experienced driver, as you’re still learning. Consider it part of the learning process. On the other hand, if you’re running short haul, sometimes you won’t get the miles you need, from all the waiting time, border crossing and delays. That translates to low pay. There are sacrifices you’ll need to make, if you plan to stay in trucking industry. It can be ‘thin living’ at times. Don’t expect to get rich for a little while. 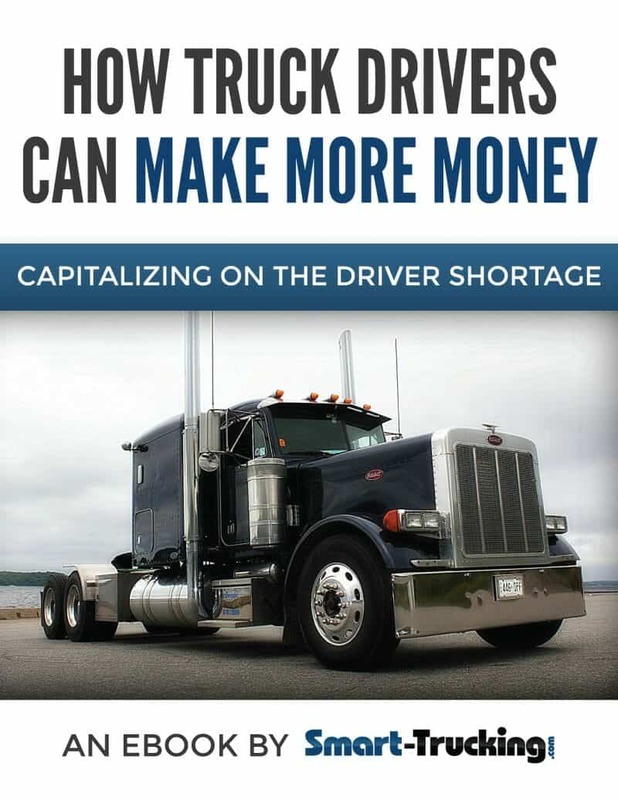 In fact, you may never get rich from a truck driving career. But, personally, for me it was worth it. As a new truck driver, I invested my time to get the experience I needed. As a result, I was hired by the trucking company of my choice. I truly loved the job, too. Eventually, I did end up getting paid a very hefty driving wage. Don’t be surprised to see other drivers getting dispatched with better loads… the better loads which pay better. Fact: Junior drivers tend to crappiest work. Dispatchers know the work is crappy. They don’t care for the most part, how crappy it is. They have a job to do, and that is to move freight. Be prepared financially. 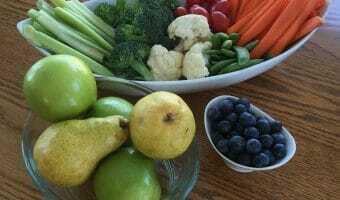 It can be very expensive to live on the road. It’s part of the program. 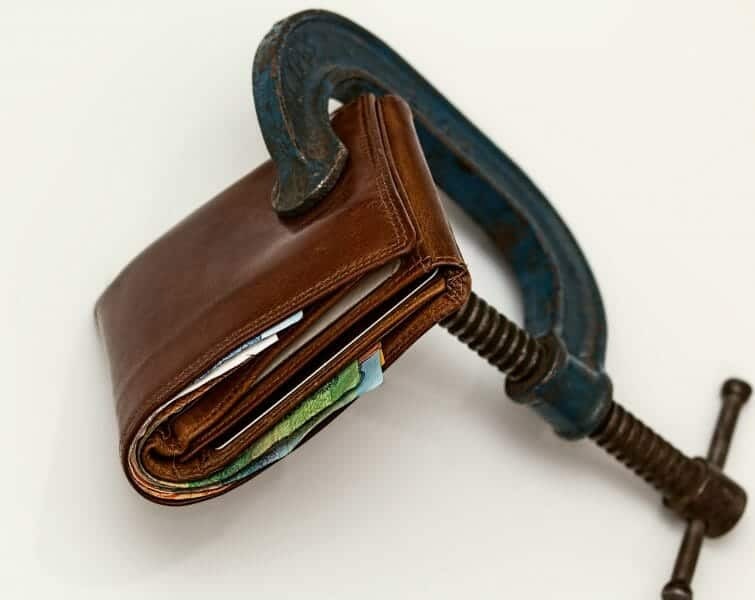 You will need to budget and make adjustments to your spending, if you want to be successful. One of your most important goals is to minimize the chances of having an accident. 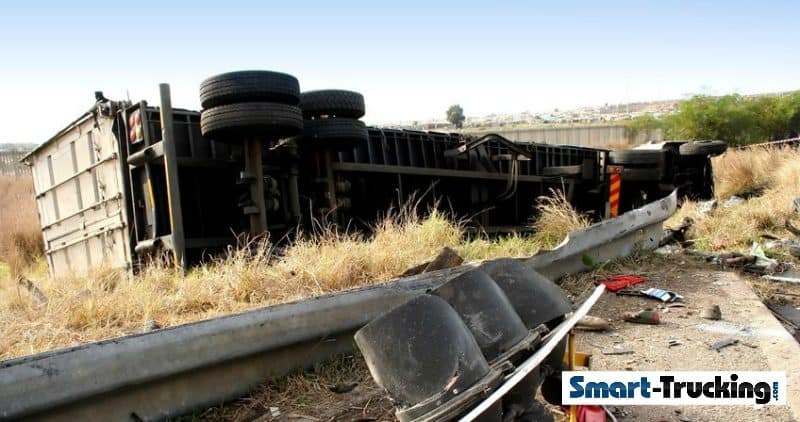 Accidents are very common in that first year as a professional truck driver. In that first year, there’s also the challenge of getting used to the truck. Do your very best to avoid accidents. They will show up on your driving record (DAC report, CVOR). Many incidents are preventable and unnecessary. They are also embarrassing for you. Not only can they hurt your pride and shake your self-confidence, they can be expensive. The really stupid and expensive incidents, could end up costing you your driving job. And no one wants that. 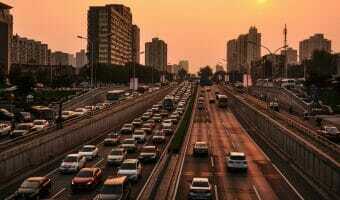 Nowadays, it’s a fact of life for new professional drivers, to be on the road for several weeks or more at a time. Be prepared for that. It’s not as easy as you may think. If you are married or in a relationship, that’s a factor you must be prepared to deal with as well. Your family needs to know what to expect as well, and be prepared. It’s simply part of the lifestyle of a trucker. Being alone for long periods of time can be tough emotionally on some people. Loneliness, depression and anxiety are not uncommon issues truck drivers face. 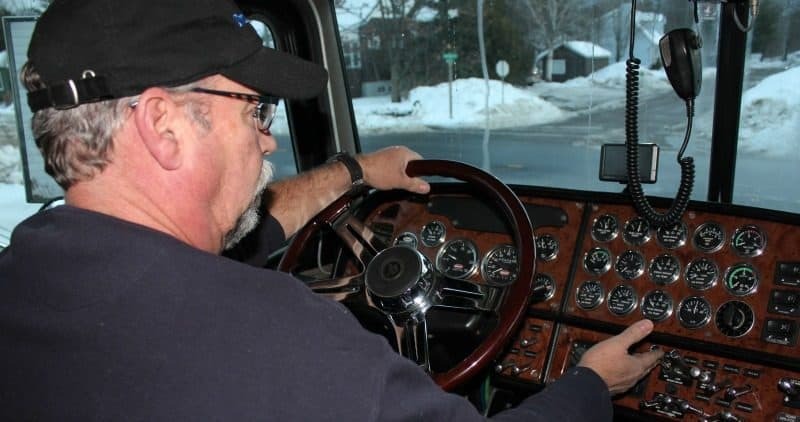 A trucking career can take it’s toll on the both the physical and mental health of a trucker. I’m not going to lie to you. That first year as a new truck driver can be rough. But, it’s important not to get discouraged and overwhelmed. The ultimate goal is to accumulate seat time and rack up experience. It’s part of the learning process, in making truck driving a career. The more experience you have, the more impressive it will look on your resume, should you decide to change driving jobs. Always do a good job and keep yourself safe while doing it. Aim to do your best and avoid damage to the vehicle. Practice makes perfect they say, but as a truck driver, let me tell you it’s NEVER perfect. But, with practice and experience under your belt, your skills and abilities, just get better and better. Perhaps trucking companies want to see if you can survive the tough stuff. If you can survive the toughest stuff they throw your way, chances are you’re able to survive anything that comes your way. Think about it. The carrier REALLY doesn’t know you at all. If they’ve got an ugly load, they’ve got to get rid and chances are, they’ll assign the load to the new guy, rather than give it to someone that they consider a friend, co-worker or a valuable experienced driver. Yes, you’ll get some ugly work. But, don’t worry, that will improve with time….keep in mind the end goal. Yes, it will be tough at times. But, you will accumulate the driving experience and the seat time. THAT’S the long term plan to reach your goal. Yes, it will get easier and better as time goes on. Watch the video to learn the real truth about what it’s like for that first year as a professional driver.